Masawani Jere, a chief of the Ngoni tribe, presides over a village of 120 in Malawi, a small, landlocked nation in southeastern Africa. The village, called Emchakachakeni, sits on a hill at the edge of a forest. Most Malawians live in rural areas and work in agriculture. Many of the 6,000 Ngoni, descended from the Zulus of South Africa, are timber merchants. Those in Emchakachakeni own no televisions or computers. But their chief must maintain some connection with the modern world, so he has a BlackBerry, on which he created a Facebook account. When Jere logged in on the last day of April he was struck by a story that all his cyberfriends were discussing about the bold new NBA commissioner, who had permanently banished the league's longest-tenured owner for making racist remarks on a leaked audiotape. "Oh, yes," the chief thought as he scrolled through the commissioner's forceful words. "This sounds just like Adam." 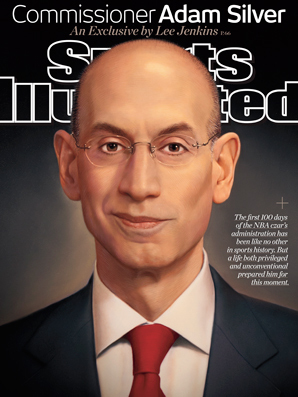 Adam Silver is featured on the May 26 cover of Sports Illustrated. Silver does not seem tired, though he just returned the night before from Los Angeles, where he watched the Clippers play the Thunder at Staples Center in Game 4 of the Western Conference semifinals. It was his first trip to L.A. since April 29, when he announced he was banning Clippers owner Donald Sterling for life and vowed to force a sale of the franchise. Club employees swung by his seat in the lower bowl to thank him for ridding them of a wretched boss, who built a reputation as the worst owner in pro sports by bungling hires, skimping on contracts and heckling his own players. 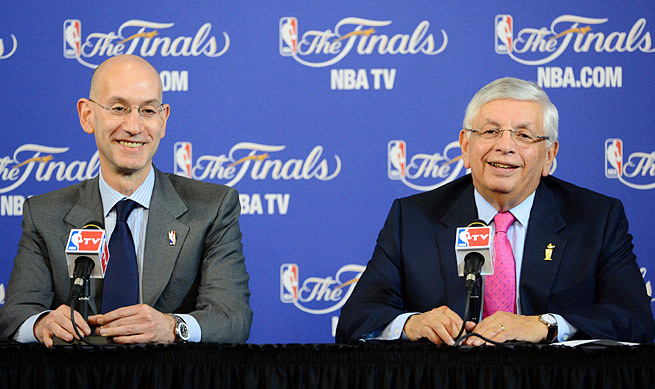 Disney chairman and CEO Bob Iger, who sat with Silver, flashed back to the All-Star Game, which they attended together in New Orleans three months earlier. "The attention he got [in L.A.], the appreciation that was shown, the connection fans wanted to have with him, was completely different," Iger says. Silver struggled to accept the adulation. 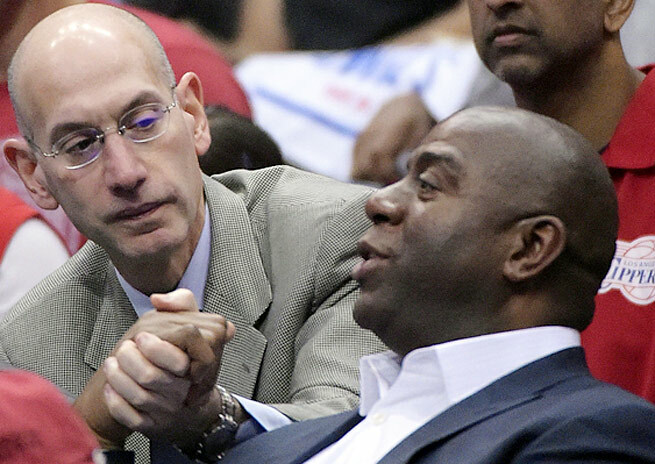 Adam Silver consulted many before ousting Donald Sterling, but he always had Magic on his mind. Melba served as president of the Rye library and chairwoman of the town planning commission. She cofounded an alternative high school in White Plains called EduCage, which emphasized the arts and allowed students to smoke in class. Melba taught English and history while puffing on her king-sized nonfiltered Chesterfields. Adam was a regular at EduCage as well as at Proskauer Rose, the Manhattan law firm where his father was chairman. Adam would take the Metro-North Railroad to Grand Central Station and hang out in his dad's office, admiring plaques awarded to him by New York mayors John Lindsay and Abe Beame for helping to settle transit, garbage and other major strikes as the city's special counsel in labor disputes. "He was the kind of lawyer who was discussed with almost as much praise on the other side of the table," says Brad Ruskin, co-chair of the litigation department at Proskauer. The halls bustled with young associates, including hotshots named Gary Bettman and David Stern. Adam was not surprised. He had fielded a few calls from Geier's mother, starting in high school, but was afraid to confront his dad or tell his mom. "Life is complicated," Silver says. "We embraced her, and we have become good friends. I'm an uncle to her two children. She has become an important part of our family." 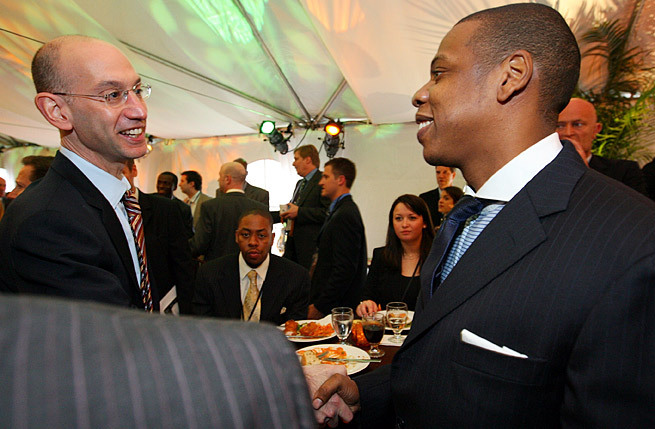 Though he loved the NBA as a teen, Adam Silver never dreamed he'd hobnob with the likes of Jay Z. His cadence was more deliberate than usual, his tone more forceful, his expression more fierce. Insiders say Silver can be tough in a tactful way -- "The kind of guy you appreciate even when he says 'screw you,' " as one puts it -- and here was the evidence. "He's like Bjorn Borg," says former tennis pro Justin Gimelstob, an ATP board member who once ran the New York City Marathon with Silver and came in more than nine minutes behind him. "His pulse doesn't have a huge range, but his intensity level does. That speech was the most overtly intense I've ever seen him." 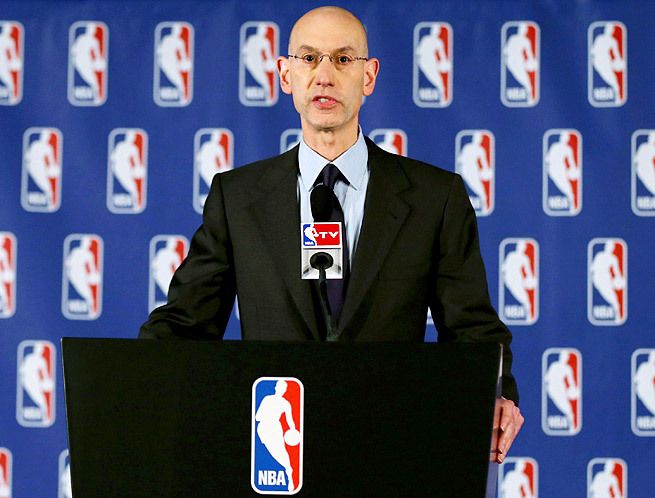 Adam Silver hasn't shied away from shaking up the status quo established by predecessor David Stern. Emily Kaplan contributed reporting to this story. Clarification: The print version of this story referred to "the point-shaving scandal" involving Tim Donaghy. The former NBA referee admitted to betting on games he officiated and pleaded guilty to providing inside information to gambling associates.